Learning First prepared this report for the Australian Institute for Teaching and School Leadership (AITSL). 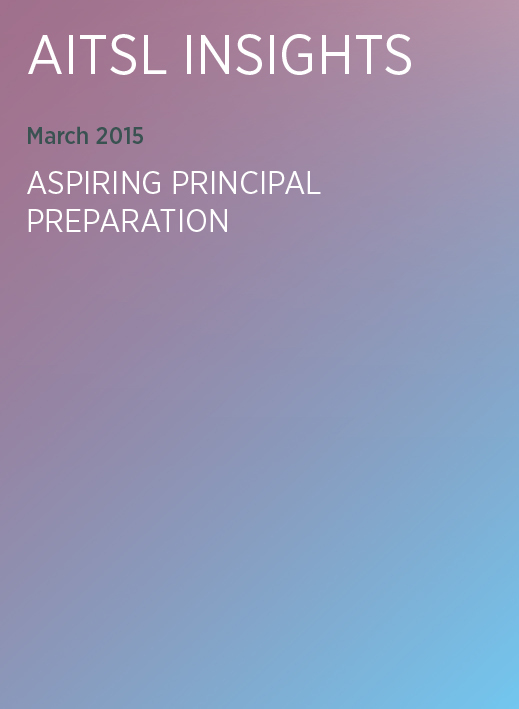 The report identifies the key considerations for designing principal preparation programs in an Australian context. The school principal role is complex and diverse. Increasing principal autonomy and accountability has broadened the responsibilities of school leaders, making their role more challenging. Developing aspiring principals’ knowledge, skills and abilities is more important than ever. But how is this achieved? How should leadership development programs for school principals be designed and developed? This is the challenge facing education systems. This report draws on best-practice leadership development in education and other sectors to develop key considerations for the design of principal preparation programs to help systems meet this challenge.